Is Microsoft backing HD DVD to ensure its Xbox Live Video Marketplace succeeds? Microsoft is one of the companies you should blame for the HD format war. That's according to Transformers director Michael Bay, who says that Microsoft has a vested interest in fuelling the HD format war to ensure that its own downloads succeed while DVD sales falter. He was responding to a question posed through his official forum when he made the comments. In Bay's opinion, Microsoft has been doling out huge sums of money to back HD DVD in the hope that its support will stall the HD format war. This would allow Microsoft's Xbox Live Video Marketplace time to grow as it moves worldwide next week. 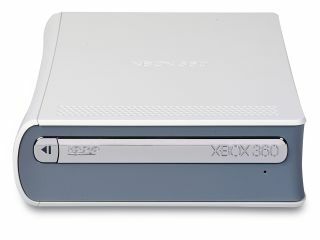 The Xbox service allows users to rent movies and purchase television shows in HD at a price that typically falls below the cost of purchasing a physical copy. "What you don't understand is corporate politics. Microsoft wants both formats to fail so they can be heroes and make the world move to digital downloads. That is the dirty secret no one is talking about," Bay said. "That is why Microsoft is handing out $100 million dollar checks to studios just [to] embrace HD DVD and not the leading, and superior Blu-ray. They want confusion in the market until they perfect the digital downloads. Time will tell and you will see the truth." Note that Bay's Transformers film is available in HD DVD, but not Blu-ray. Before you get excited and tell everyone that Apple has released a touchscreen iMac, think again. A company called Troll Touch has already released one and has been converting all kinds of other devices for years. According to the company, you can get your hands on a retrofitted iMac by buying the complete package (computer plus touchscreen) from Troll Touch for prices ranging from $2,299 (£1,104) to $3,899 (£1,872). Or you can send the company your current iMac and pay $1,099 (£528) to add touch-sensitivity to the 20-inch iMac or $1,599 (£768) for the 24-inch computer. Although it has been one of the worst-kept secrets in tech over the past few months, Creative has officially announced the 32GB Creative Zen. Unfortunately, the company is still tight-lipped over the device's release and has only said that it will sport a 32GB flash hard drive and will be released "sometime next week". And Palm has officially unveiled its Windows Mobile 6 update for the Treo 750. The update includes enhancements such as HSDPA support, Microsoft Direct Push Technology for real-time synchronisation with Outlook and improved Calendar management. You can get your hands on it now from Palm's site as a free download.